If you have a home security system, you expect to receive help in the event of an emergency, whether it’s a fire or a break-in. The question is, do you know how long it will take for emergency services to arrive at your doorstep? Depending on which security provider you use, you could be waiting for nearly a minute before the system responds. Add to that the time it takes for the monitoring center operator to contact emergency services to relay your information and you could be waiting a lot longer than you might think. In a true emergency when every second counts, these long wait times are unacceptable. The burglar could be long gone before the police even show up! A solution to this problem has been created by the Central Station Alarm Association (CSAA) and the Association of Public Safety Communications Officials (APCO Int’l) in partnership with Vector Security’s CEO Pam Petrow who co-chaired the steering committee. It’s called Automated Secure Alarm Protocol (ASAP). What exactly is it and how does it help reduce response times? In short, ASAP was created to reduce errors and increase the speed at which first responders can react to alarms. It speeds up the emergency response time by eliminating the need for a monitoring center operator to contact emergency services and communicate pertinent information. ASAP delivers alarm notification information from central stations and monitoring equipment directly to public service agencies over the internet. Communicating in this way speeds up the entire process, allowing emergency personnel to react more quickly to your situation. Because all of the information is transmitted electronically, it reduces dispatch errors, like an incorrect address that could further compromise the speediness of the response. ASAP also all reduces call volumes to 911 centers, allowing those dispatchers to provide aid to others more quickly as well. Does my system utilize ASAP? ASAP is a fairly new creation as it’s only received government recognition and funding since 2010. As you might expect, Vector Security utilizes ASAP since they were instrumental in its creation. However, other home security systems are slowly starting to show interest in the benefits that this system has to offer. 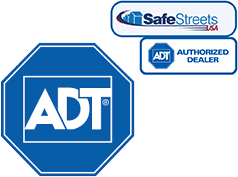 Both ADT and Vivint have both integrated ASAP in their systems. There are other systems that include this innovative technology too. If you don’t see your area listed, it’s worth calling in and asking a representative from your home security system to see if they offer ASAP. It’s even better if you’re currently searching for a home security system, as ASAP may be a feature you want to make sure is included in your package. If you learn that your current security system isn’t utilizing ASAP, but you’re generally happy with your system’s performance, there probably isn’t any reason to switch. As this innovative electronic system continues to be tested, more and more areas will likely offer this method of emergency communication, and you may soon learn that your system includes it in the future.